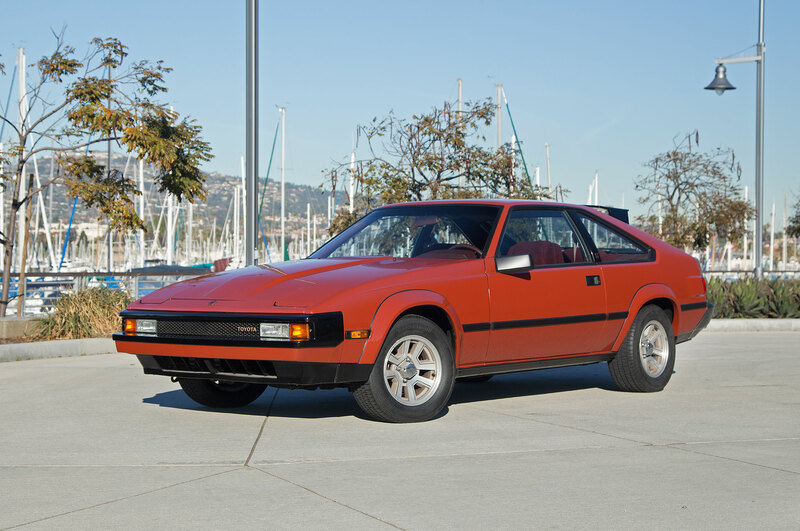 The Supra’s 5M-GE 2.8-liter inline-six produced smooth, continuous power to 6,500 rpm, some 145 hp in 1982 increasing to 161 hp by 1986. 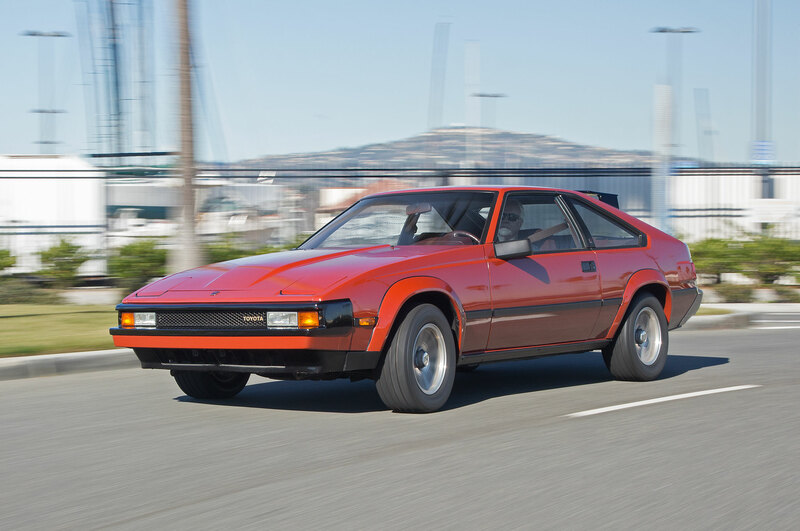 The five-speed overdrive gearbox had longish shift throws and could be notchy, but fifth gear (then kind of a new thing) also made for relaxed long-distance runs at speed. 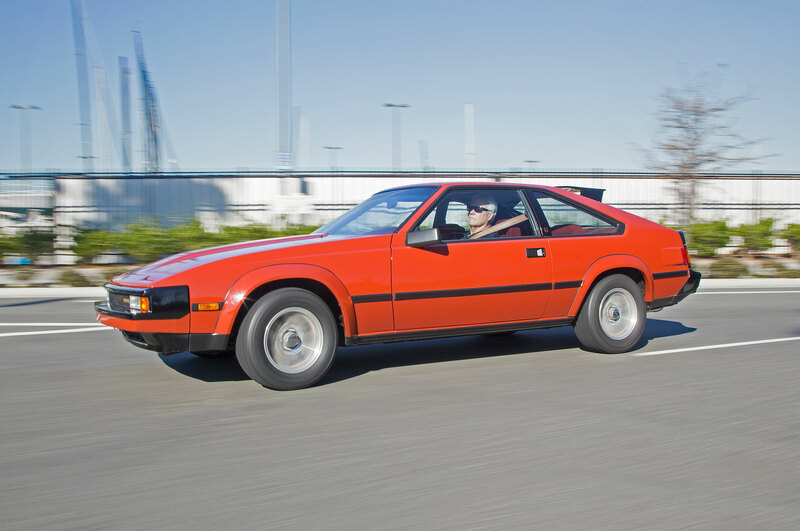 The car had balanced handling despite understeer promoted by that heavy, iron engine block up front, although the rear suspension with semi-trailing arms delivered trailing throttle oversteer. 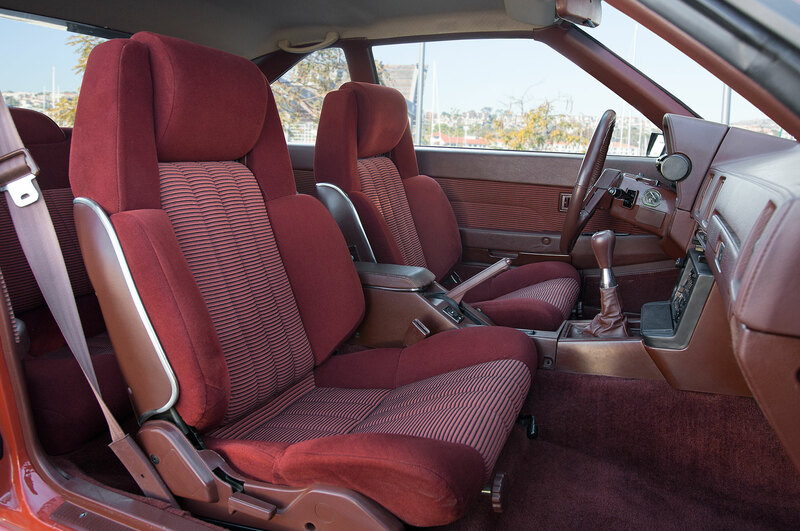 The Supra’s fully featured interior was highly prized not only by owners but also by thieves. 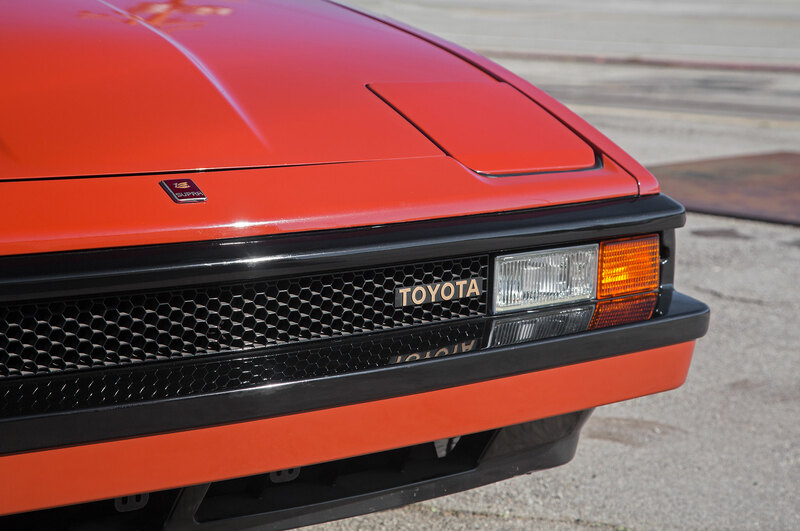 The 1982 Toyota Supra P-type I bought was red (naturally) and included the model’s trademark sunshade/spoiler at the leading edge of the hatchback. 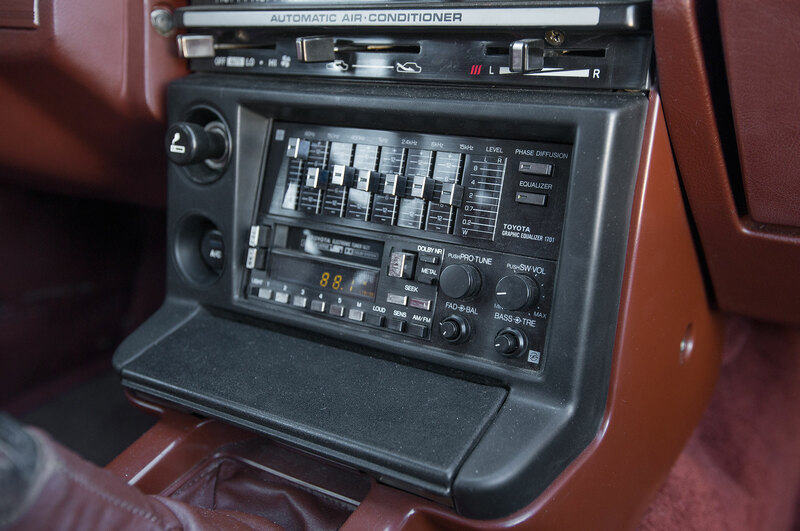 What really set this car apart was the interior, which featured eight-way-adjustable Recaro-style seats with an inflatable lumbar support, a business-like dash with climate control, and a very ’80s-style graphic equalizer for the audio system. 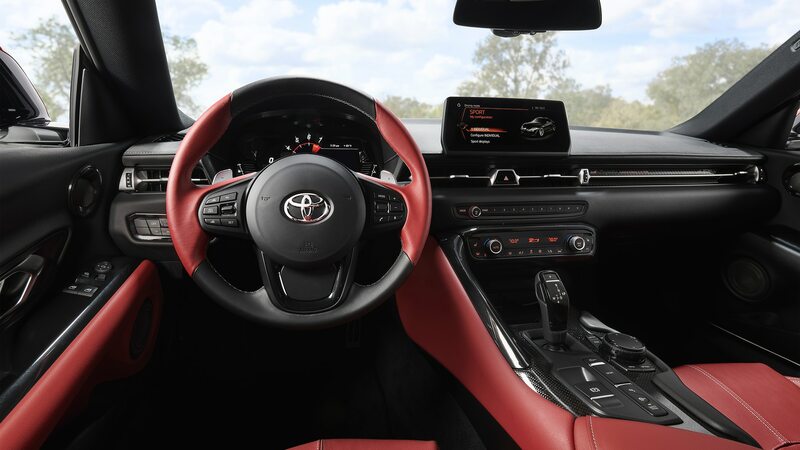 Unfortunately organized theft rings in Los Angeles liked the Supra interior and stereo as much as I did. 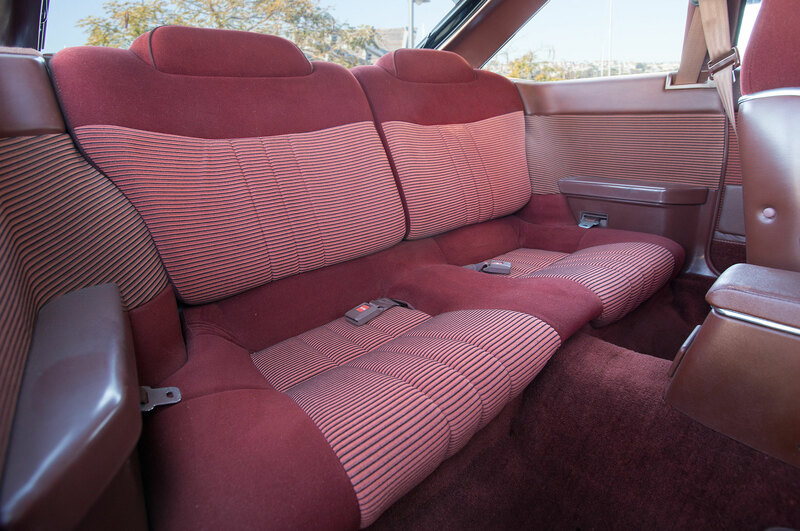 The entire interior was the thieves’ target because the seats were highly prized for just about any Japanese car. 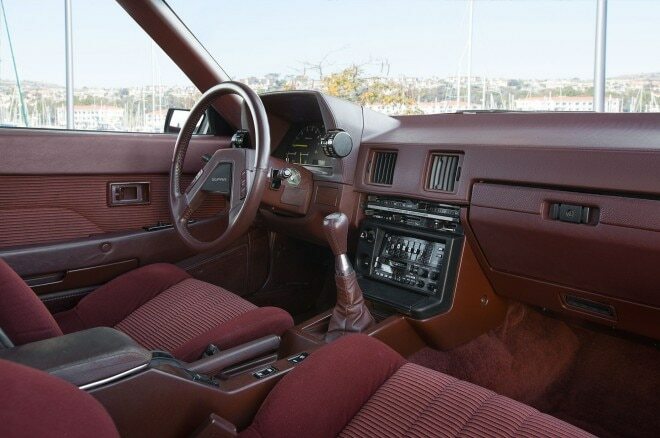 More often the racket was to sell the “used” parts back to insurance companies to economically replace a stripped interior. 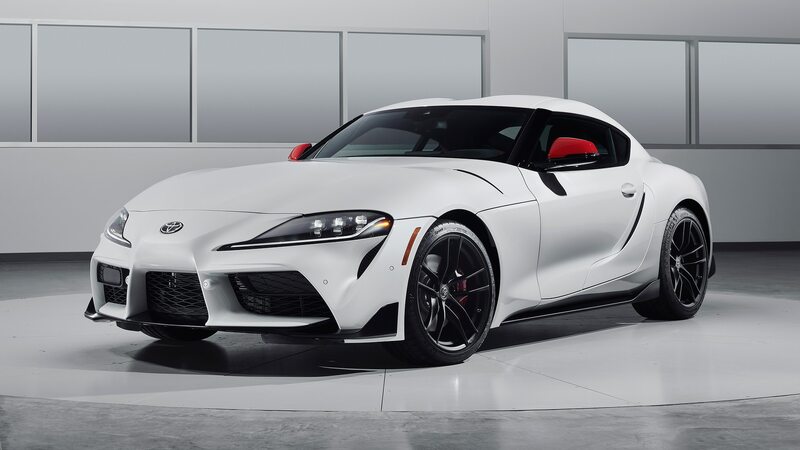 And so before an aftermarket security system could be installed on my new Supra, the car disappeared one night, with only broken glass left behind. 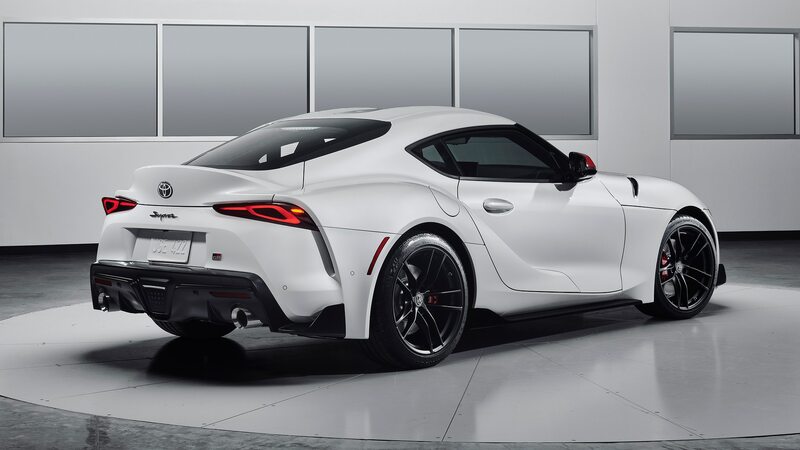 Fortunately my car was quickly recovered, and 12 pages of new parts plus labor for a total of $10,000 in repairs made my car as good as new. 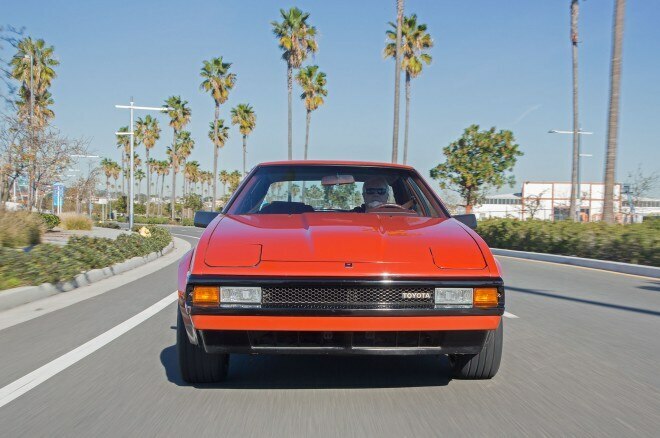 I remained paranoid about security for 110,000 otherwise-satisfying miles. 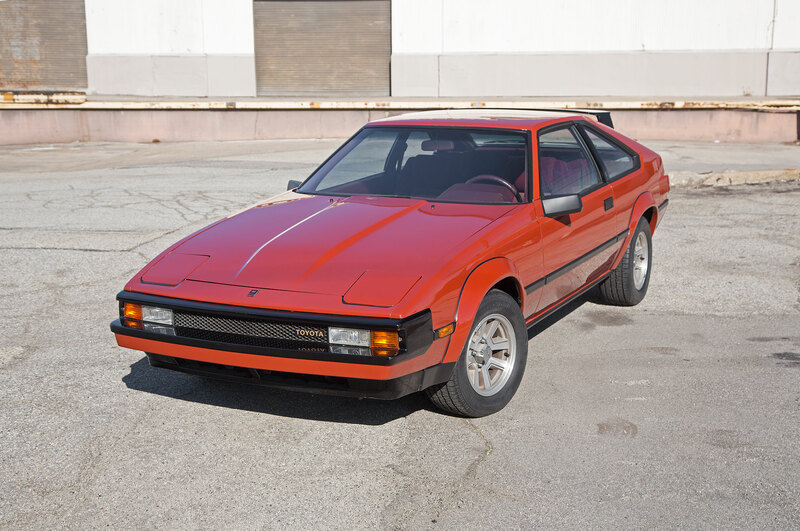 The Supra was such a good car that you might say it inspired me to join Toyota, where I subsequently worked for 30 years. 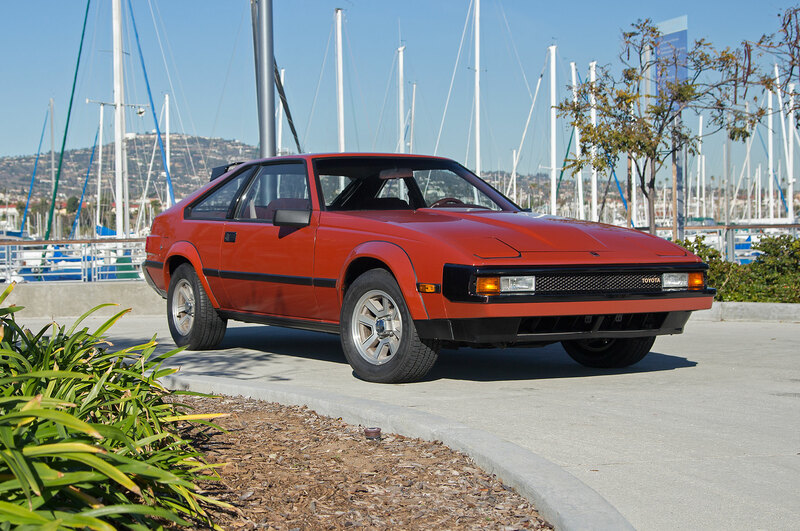 I reluctantly sold the Supra to my brother, who drove it another 50,000 miles during which it was stolen, recovered, and rebuilt yet again. 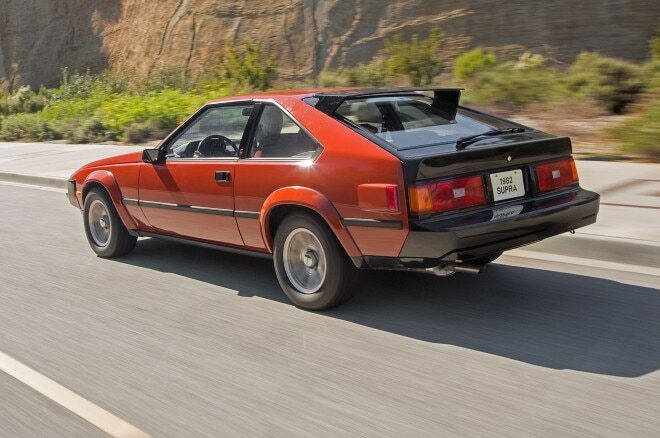 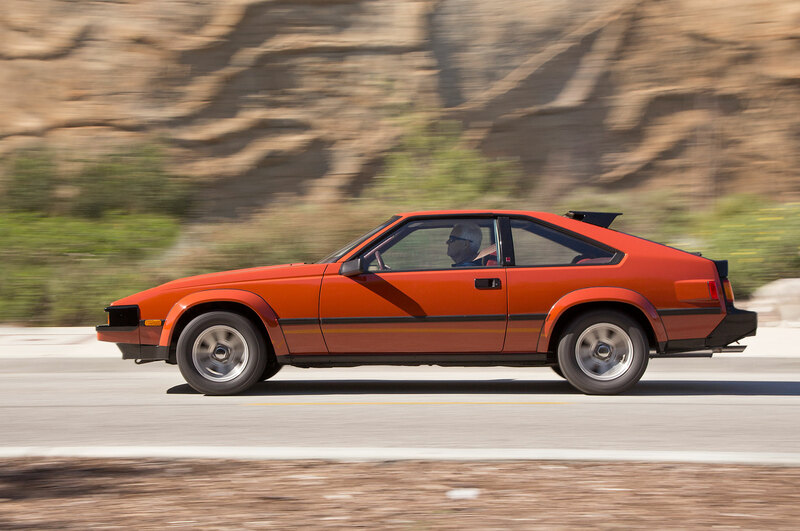 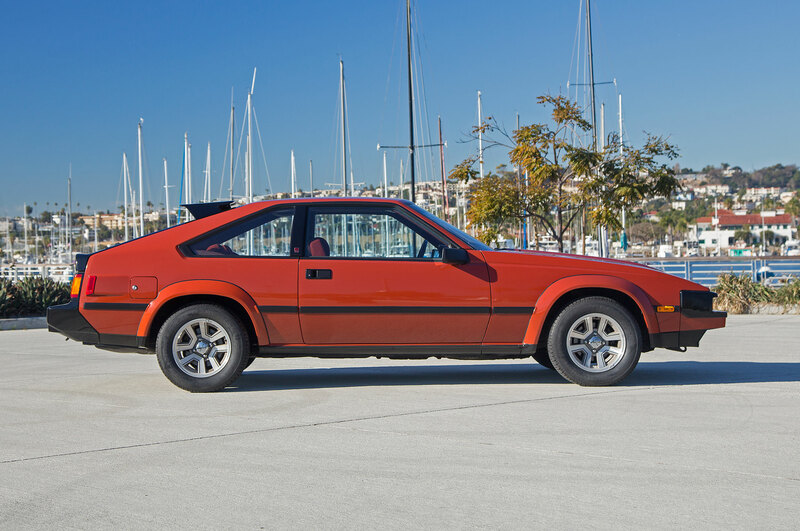 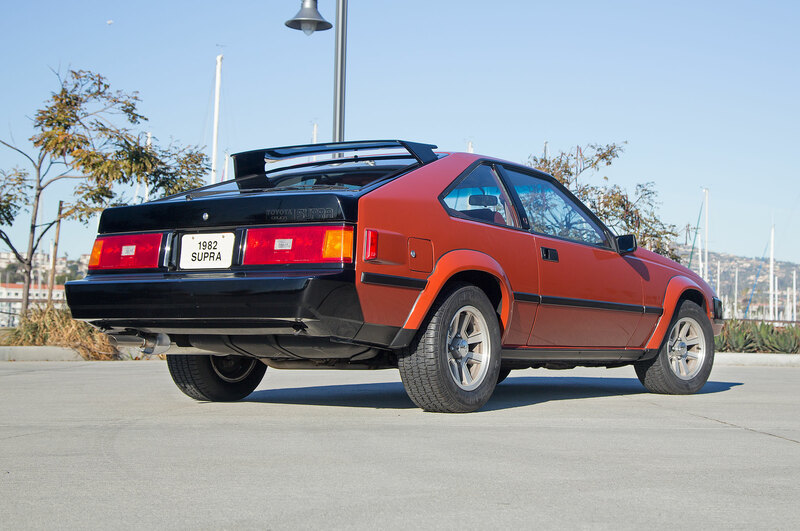 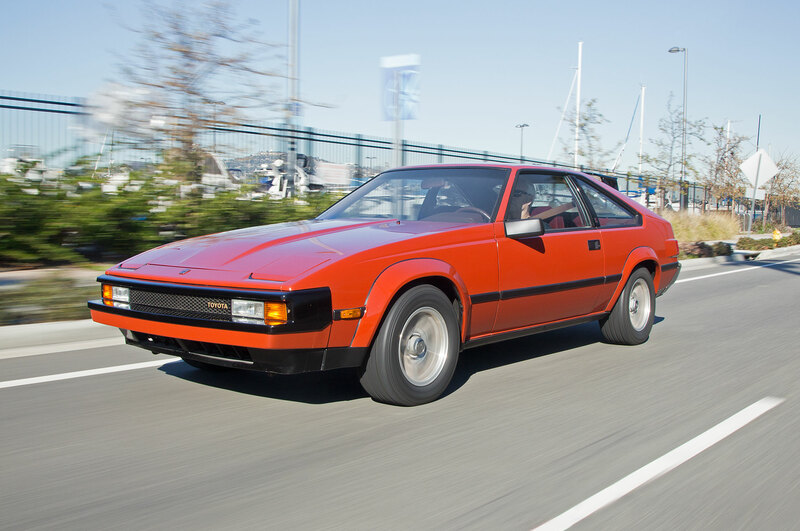 In 1984 the Celica badging disappeared from the Supra, and the third-generation 1986½ car became a unique nameplate when the Celica went front-wheel drive. 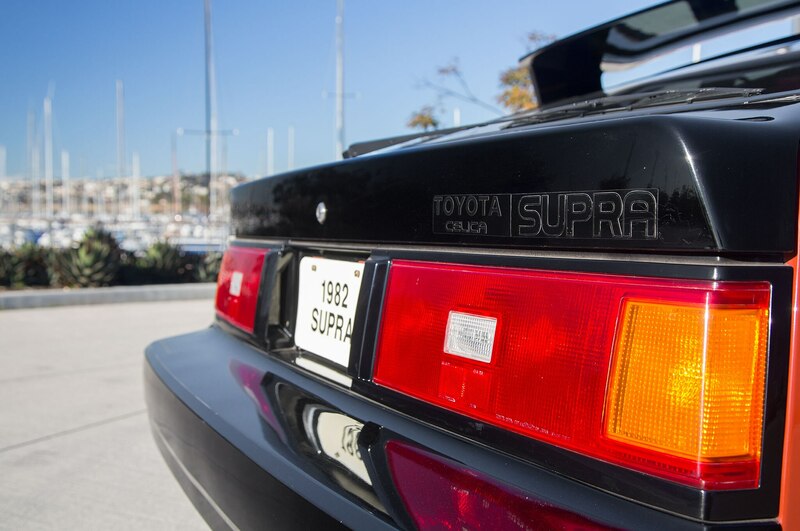 Of course, the Mac Daddy of the Supra is the fourth-generation 1993-2002 edition with its mighty twin-turbo inline-six, yet the classic 1982-1986 model still has special appeal. 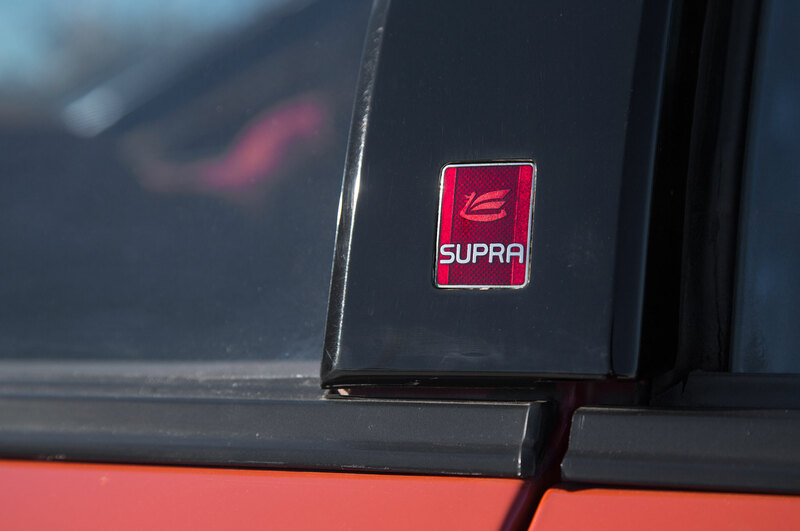 For the cost of an exotic JDM carbon-fiber body kit for the fourth-gen Supra, you can get a reliable 1980s interpretation of the Jaguar E-type that has been massaged by Lotus. Even better, it will start up every morning. 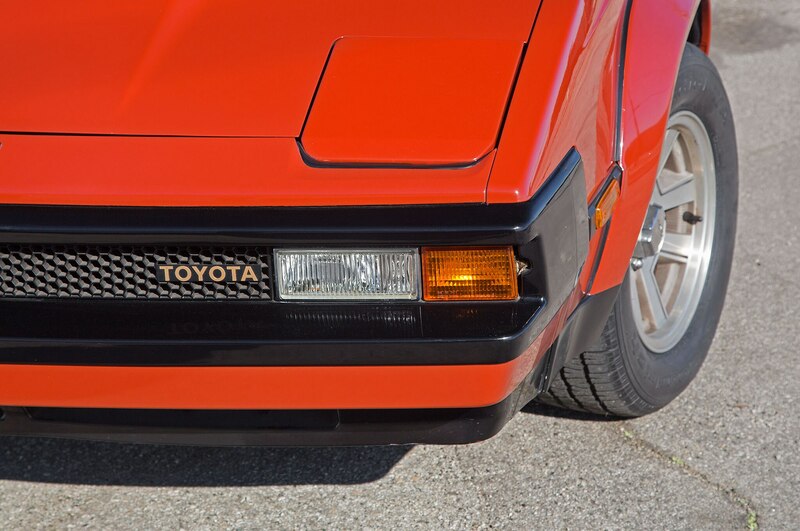 A Toyota is made to keep running, so repairs generally aren’t troublesome. Commonality with the Celica means salvage body parts are out there. 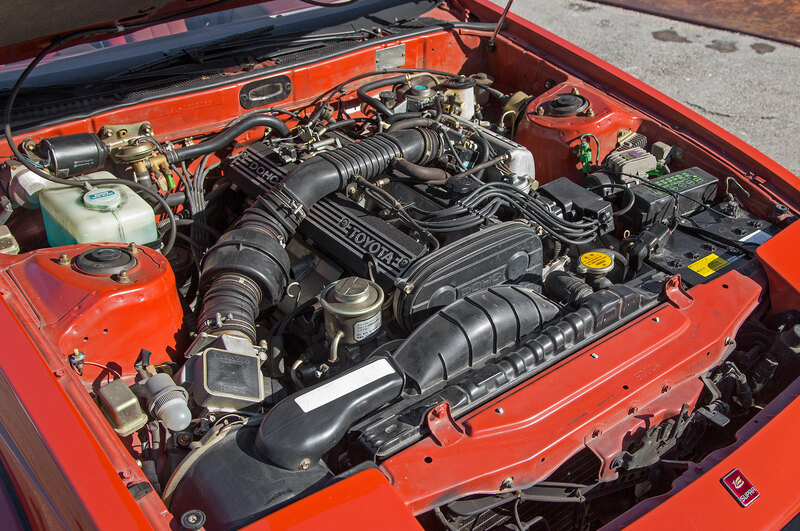 Bingham recommends checking for oil in the cam valley and around the spark plugs because leaks in this area were an early problem. 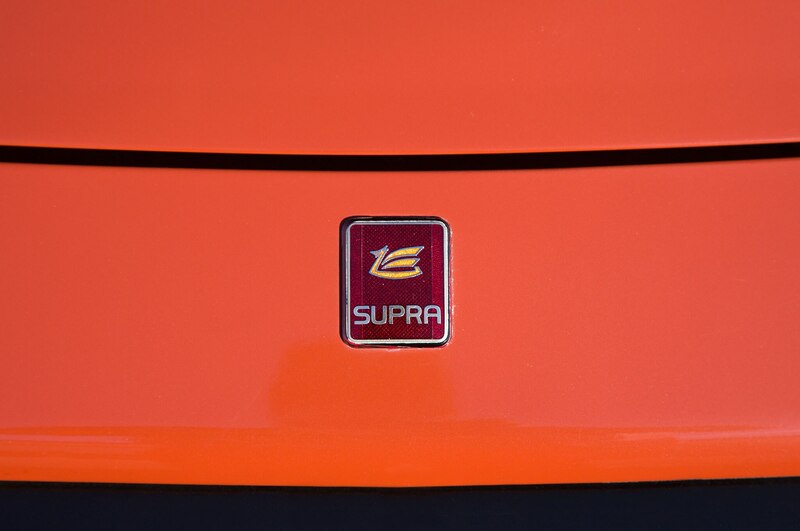 It’s not a simple fix, but the head doesn’t have to be removed. 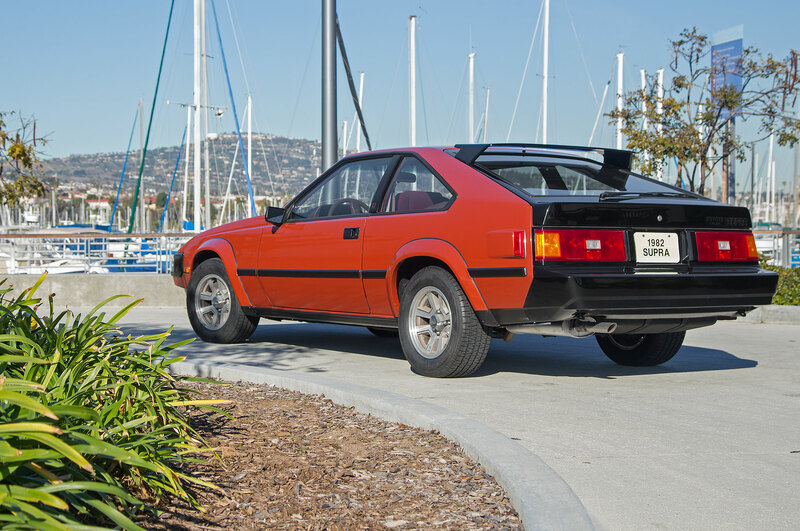 The engine has hydraulically actuated rocker-type valve lifters that are self-adjusting, which was unusual for a DOHC engine at the time. 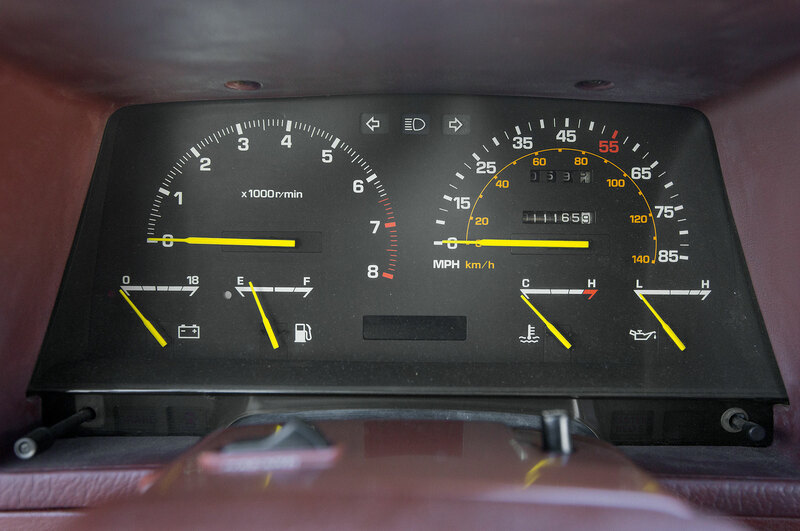 Oil supply can be problematic, though, which causes noticeable ticking from the lifters. 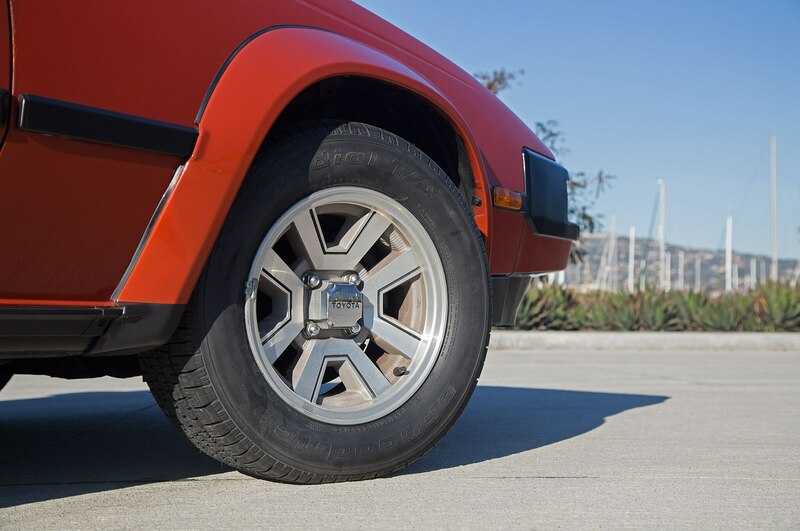 The transmission is generally robust. 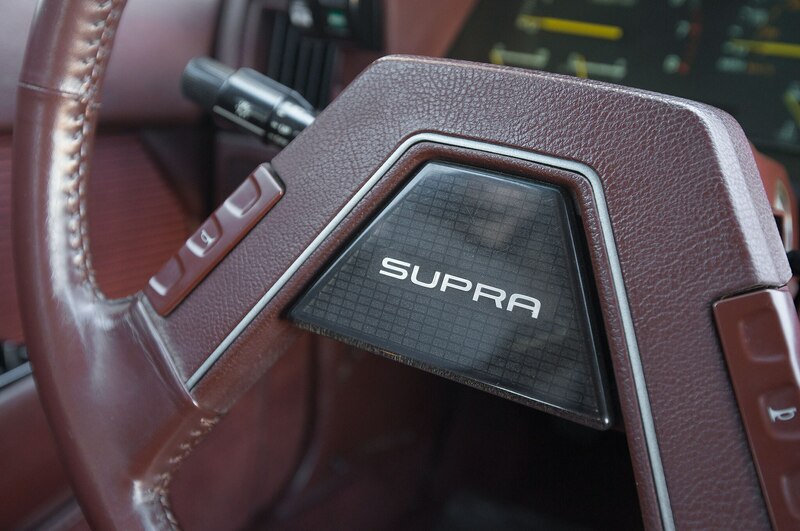 A nylon finger at the end of the shift lever that engages the shift forks wears out, but it is easily fixed by removing the shifter from inside the car and replacing $20 worth of parts.